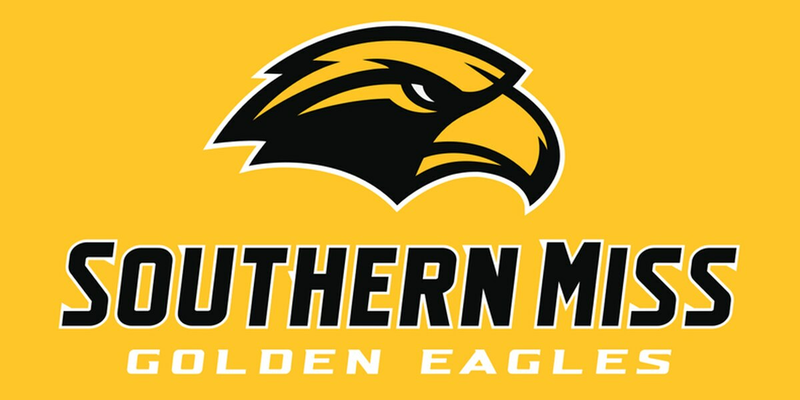 BOCA RATON, FL (WLBT) - Senior Cortez Edwards, a native of Kissimmee, Fla., scored 16 of his 22 points in the second half to help Southern Miss to a nail-biting, 74-72 win at Florida Atlantic on Saturday afternoon. The three consecutive Conference USA wins match Southern Miss' best of the Doc Sadler tenure, and the squad now has a league-best six road victories after having just five the previous four years. The Golden Eagles have now won six of their last eight games, and will have their next three contests at home before C-USA bonus play begins. "I think we made this game a lot tougher than it should have been, but you have to give FAU credit for that," Sadler said. "We had a good first half, which is what you need to do, then we got a 14-point lead and just let it go. We took three really tough shots that we didn't need, and they were scoring at will. FAU is too good to give up open shots. Our guys just continued to compete." Edwards also went 10-for-13 from the field and 2-for-2 from the foul line for his 14th-career 20-point game (third this season). He also had six steals, five assists and four rebounds with no turnovers in his 37 minutes. Tyree Griffin's three-pointer with 4:29 left gave Southern Miss a 64-60 lead, but the Owls countered with a three-pointer and dunk at 3:53 for their first lead since the early going. Edwards' steal and fastbreak layup with 47 seconds left put Southern Miss ahead 71-69, and after FAU missed a jumper, Leonard Harper-Baker was fouled with nine ticks left, where he calmly sank both shots. FAU (13-10, 4-6 C-USA) earned a three-point play off a layup with 3.3 seconds remaining, and after LaDavius Draine went 1-for-2 at the line to make it 74-72, the Owls' half-court shot attempt went wide. The Golden Eagles (14-9, 6-5 C-USA) led 38-27 at the half and held the Owls scoreless over the last 3:40, but the home squad opened the first six minutes of the second period on a 16-6 run to draw closer. "We made our free-throws," Sadler said. "We missed two late, but for the most part we were 7-for-9 and they were 4-for-5. They get about 18 attempts per game at the line. That's the difference in the ballgame. Any time you go on the road, it's gonna be tough. As I told the team, winners win at home, but champions win on the road. We're going to have five of our next seven at home, and we have to defend it." Southern Miss returns to action Saturday at 4 p.m. CT against Louisiana Tech in Reed Green Coliseum. -Southern Miss also defeated FAU 77-66 in Boca Raton on Feb. 3, 2018. -Southern Miss is 12-3 when leading at the half. -The Golden Eagles 17-for-25 first-half shooting (68 percent) marked the fourth time over its last five halves that it surpassed 60 percent. -FAU's 36 three-point attempts were an opponent season-high for Southern Miss. The team's last two opponents, Marshall and FIU, each took 35 tries. -Cortez Edwards passed Jack Gallagher (1949-53) for No. 22 on the school's all-time scoring list (1,284). He needs 11 to catch Rich Corsetto (1968-71). -Edwards' six steals puts him one away (182) from catching Casey Fisher (1984-88) for No. 2 all-time. -Tyree Griffin (9-for-14, 21 points) earned the 12th, 20-point game of his career (fourth this season). -Leonard Harper-Baker (10 points, eight rebounds) has reached double-figure scoring in seven of the last eight games.